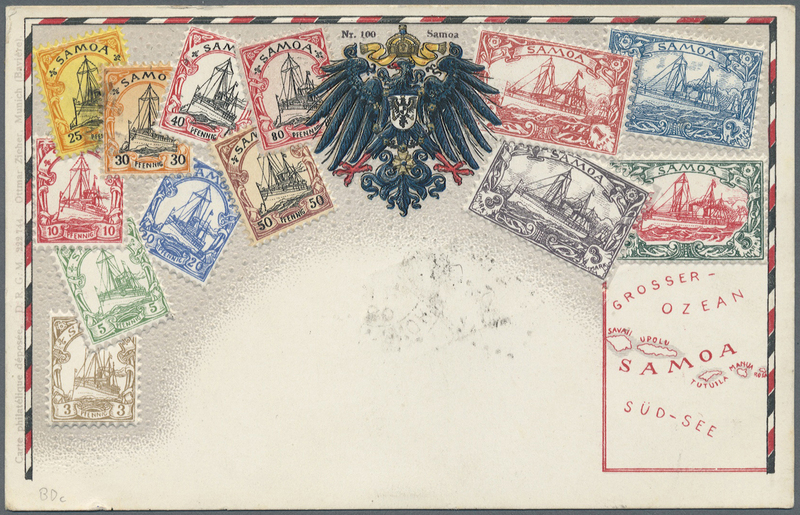 7628 Ansichtskarte (Picture postcard) 58 etc. 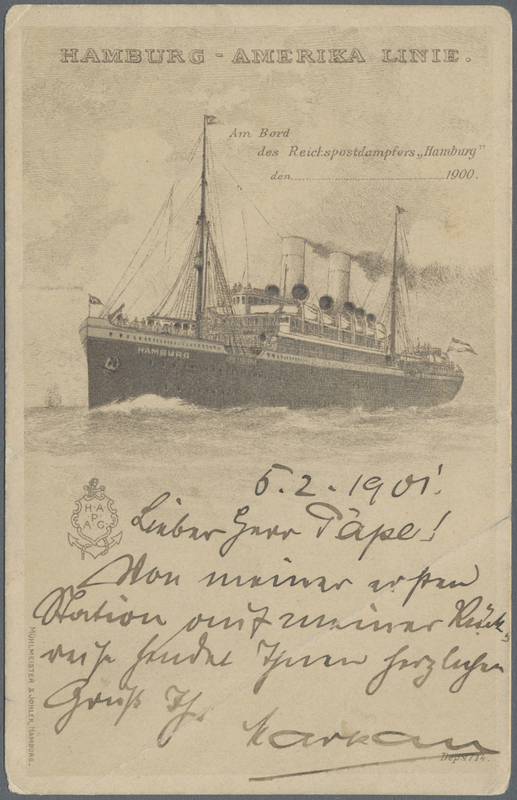 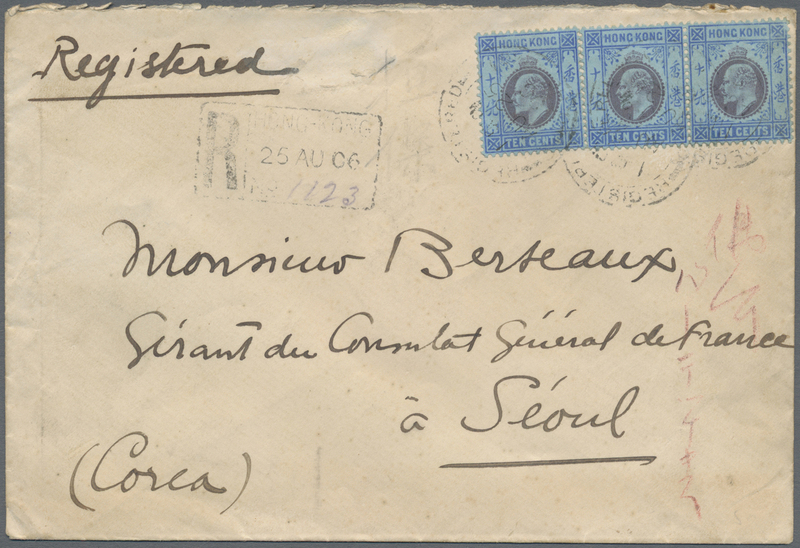 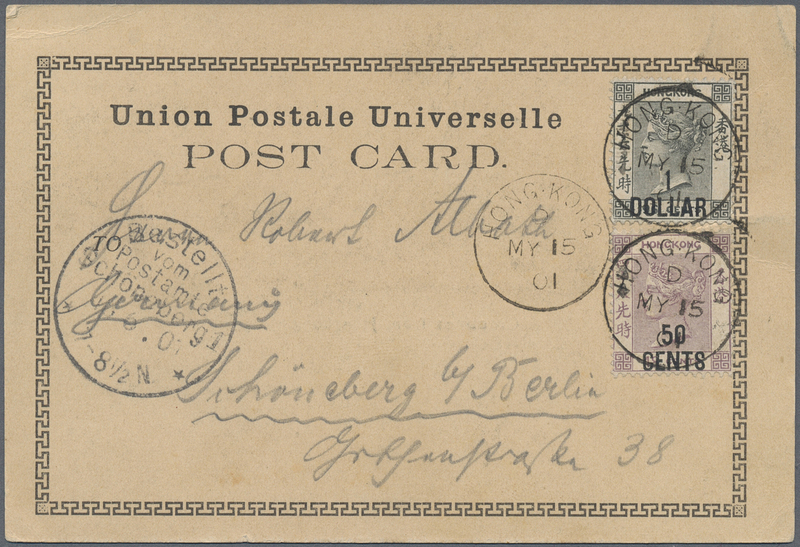 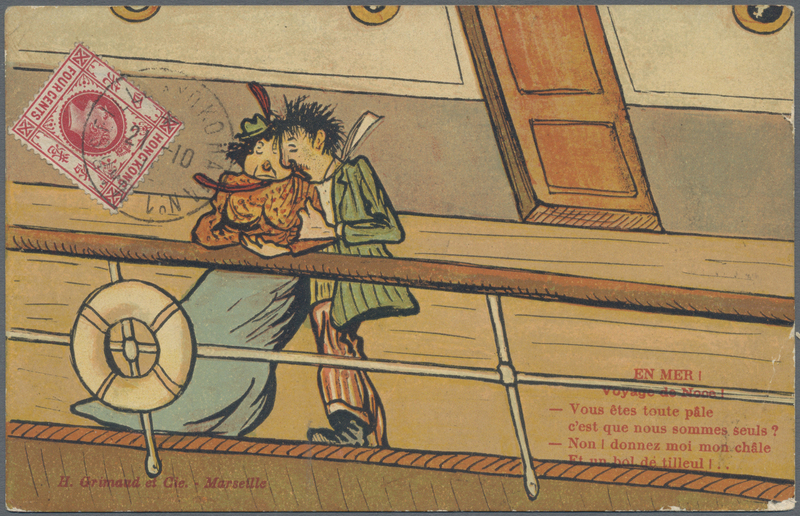 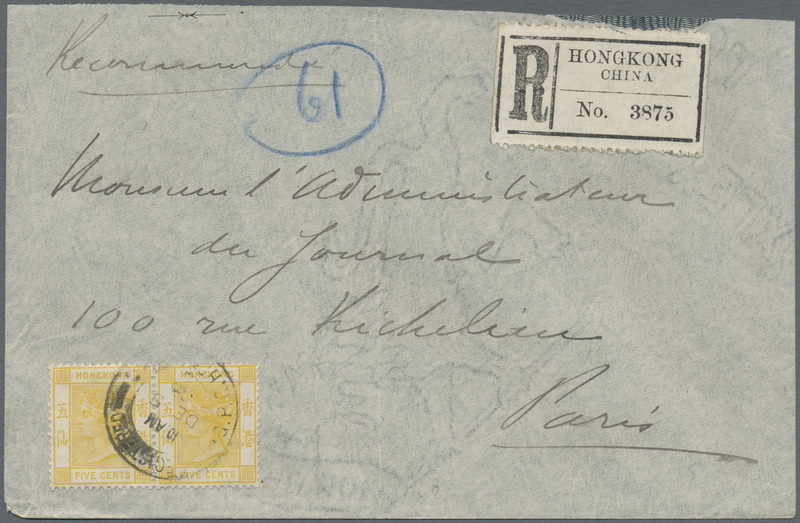 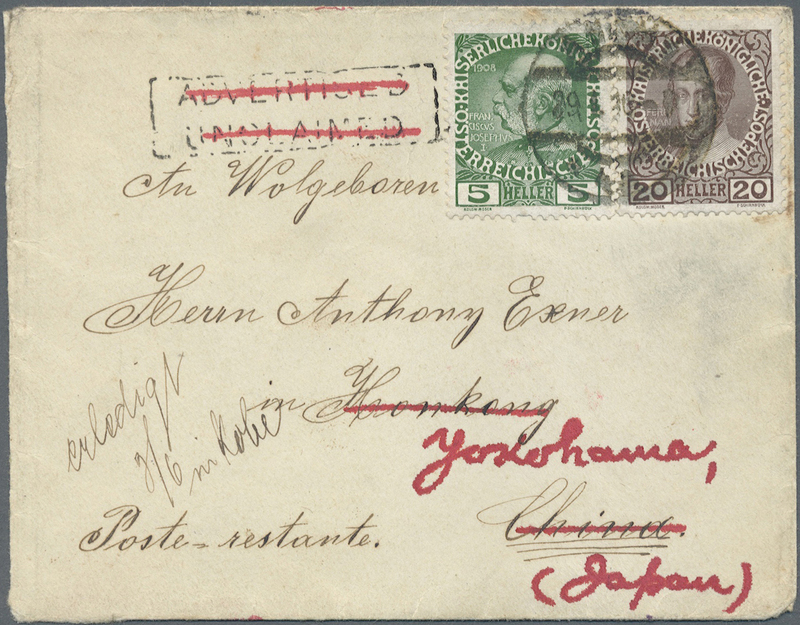 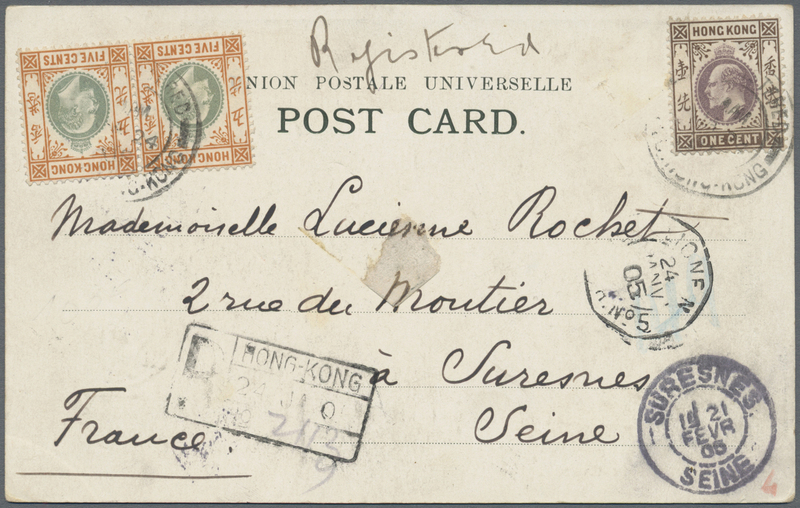 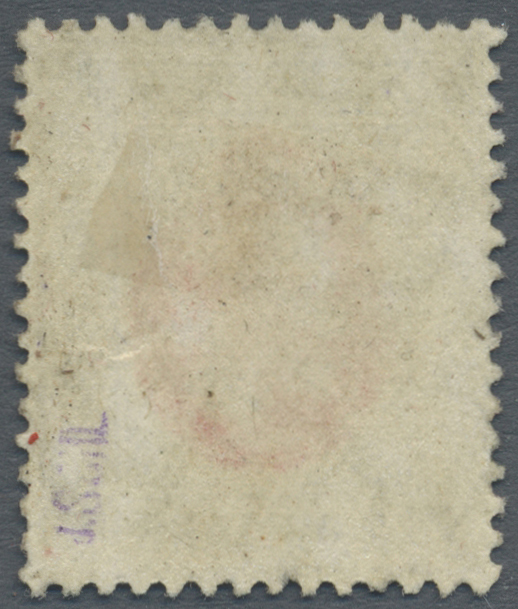 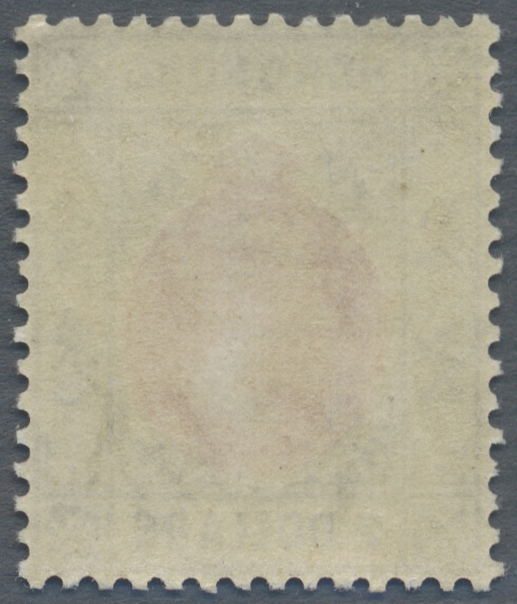 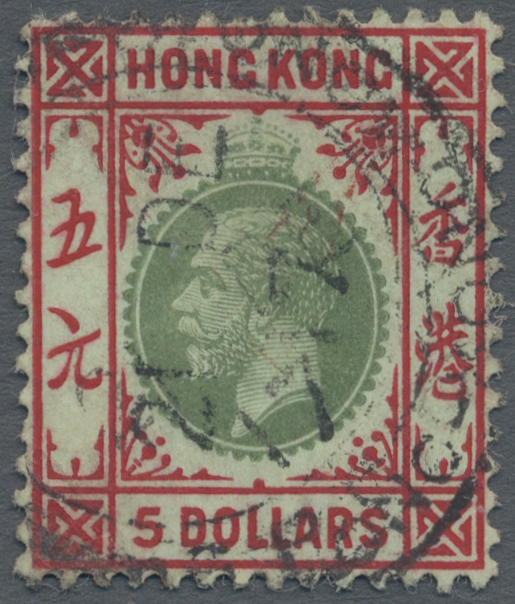 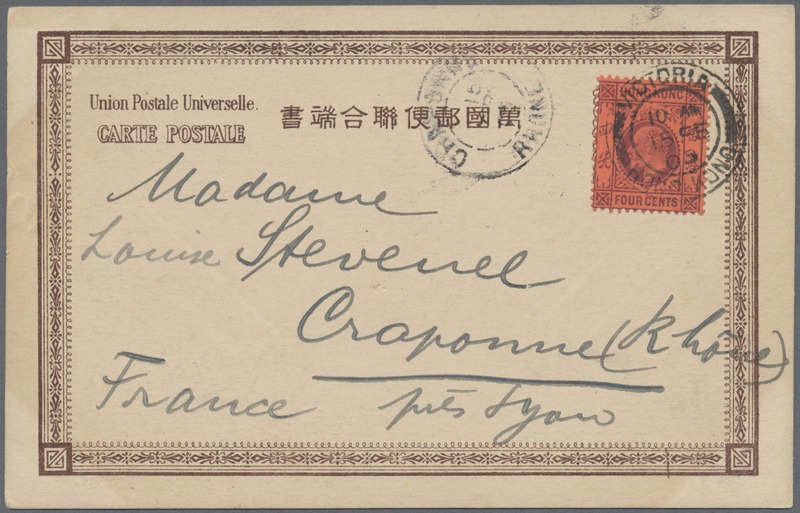 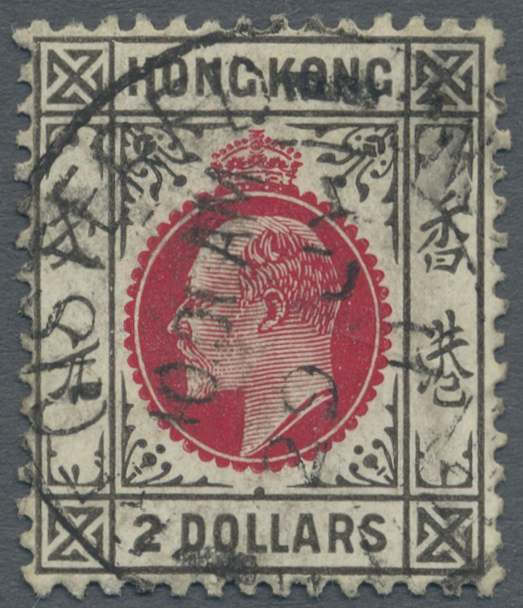 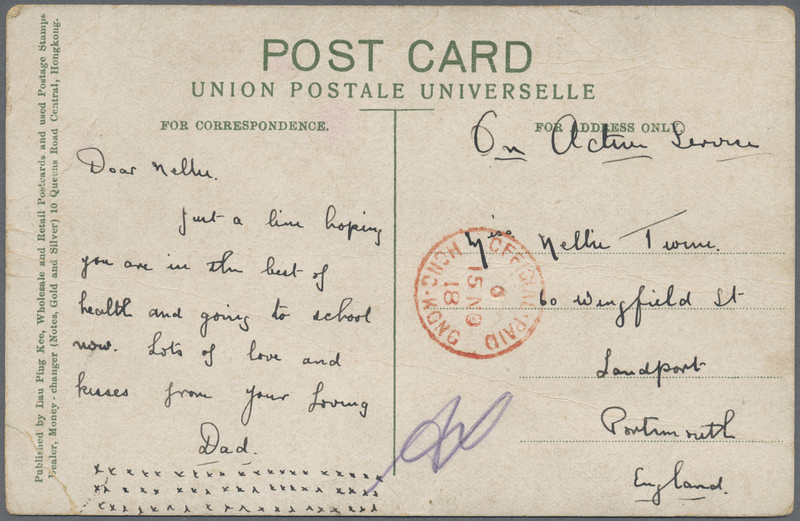 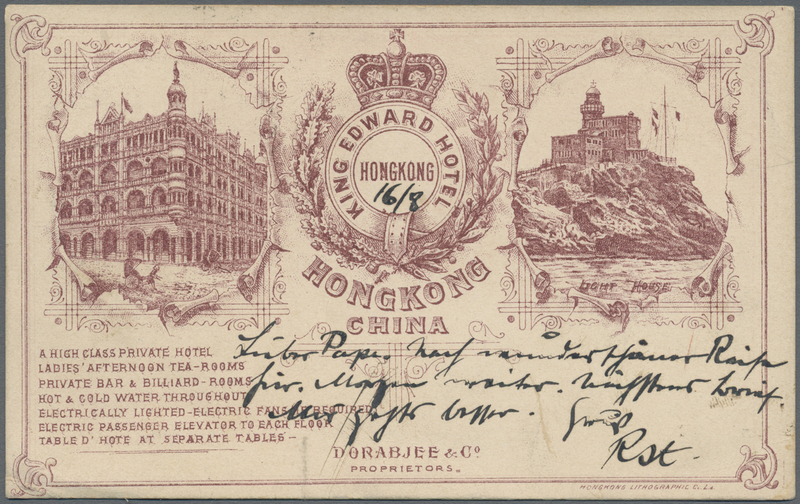 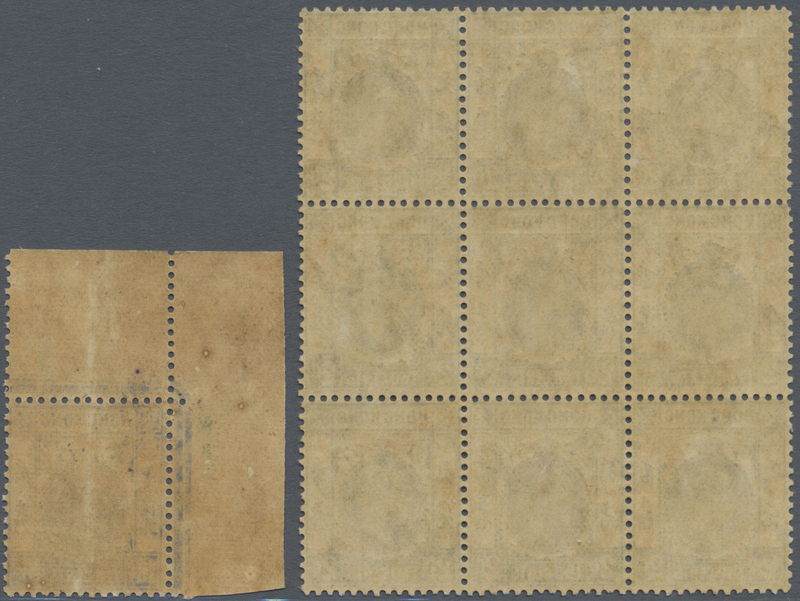 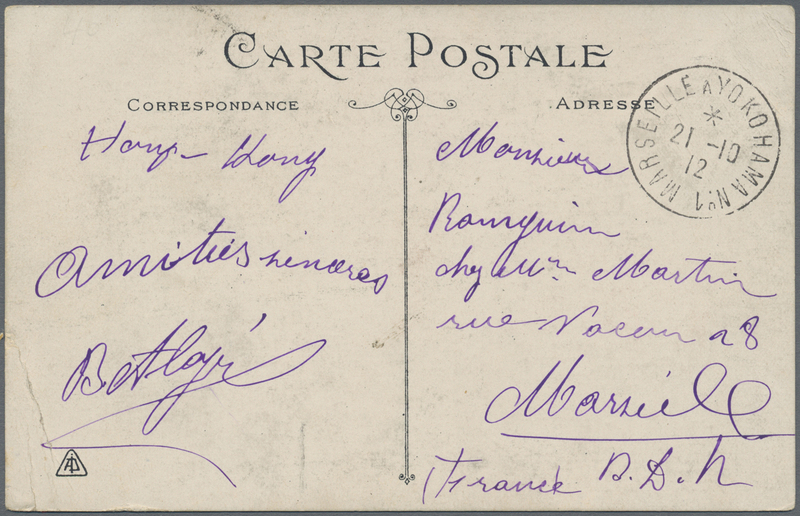 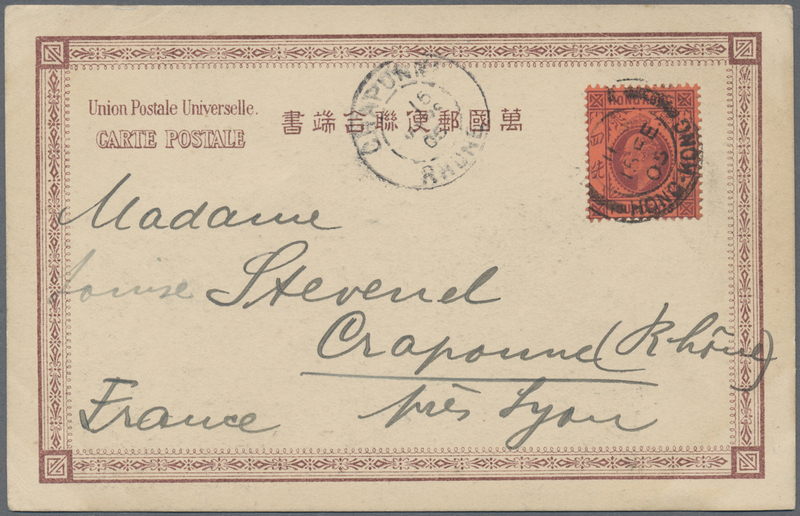 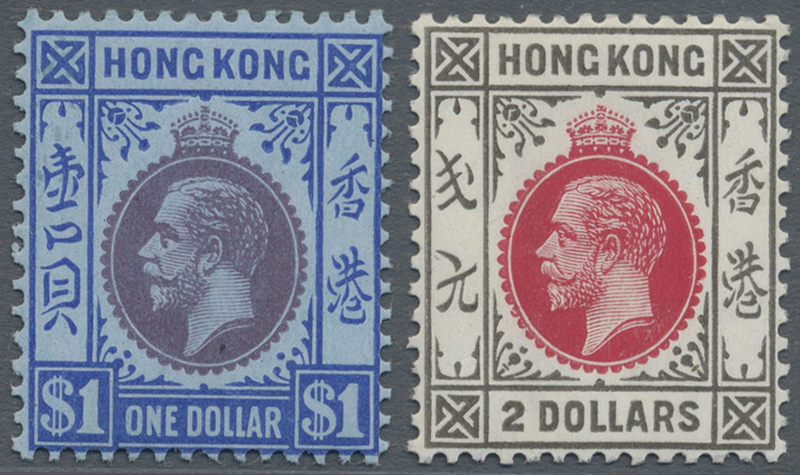 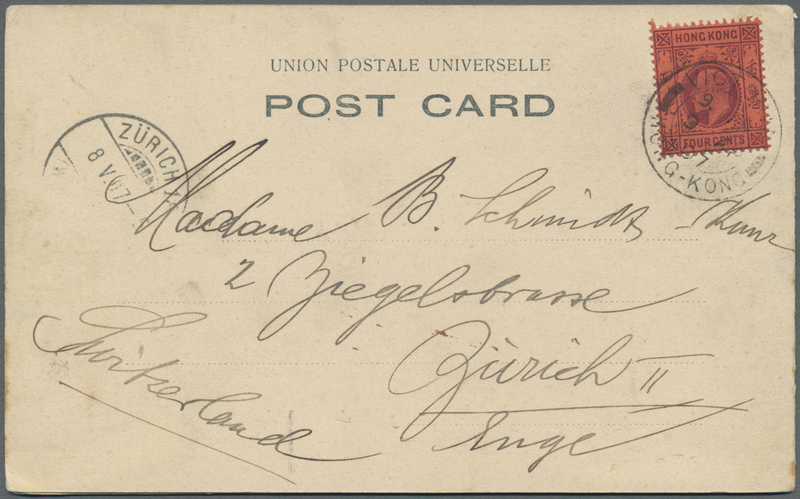 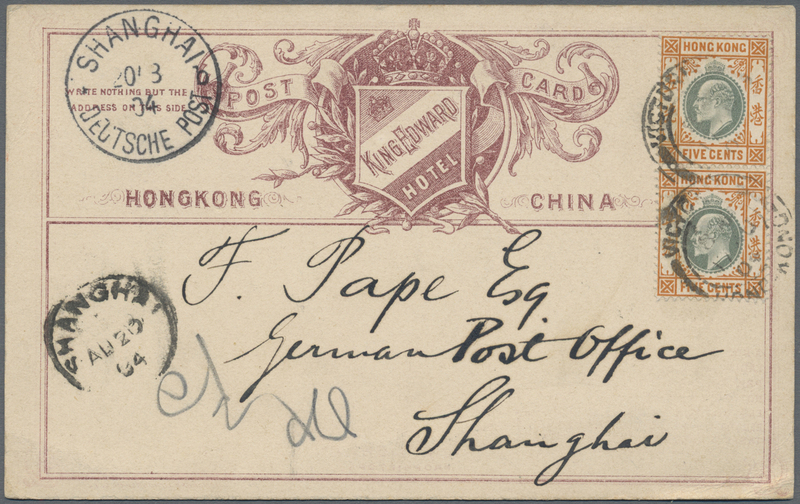 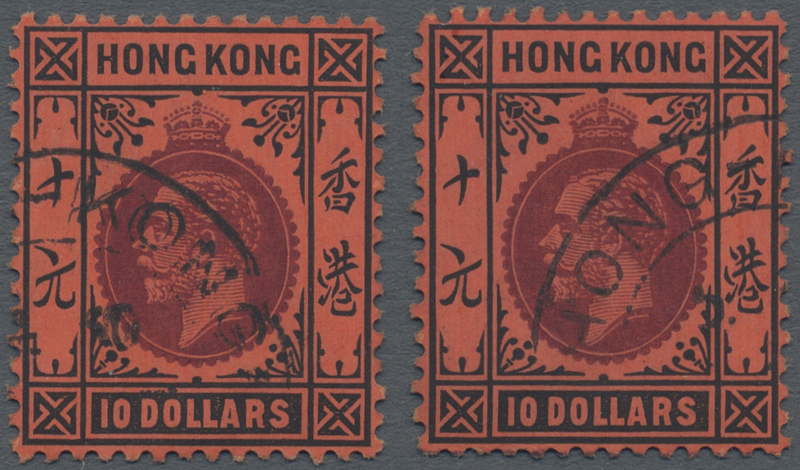 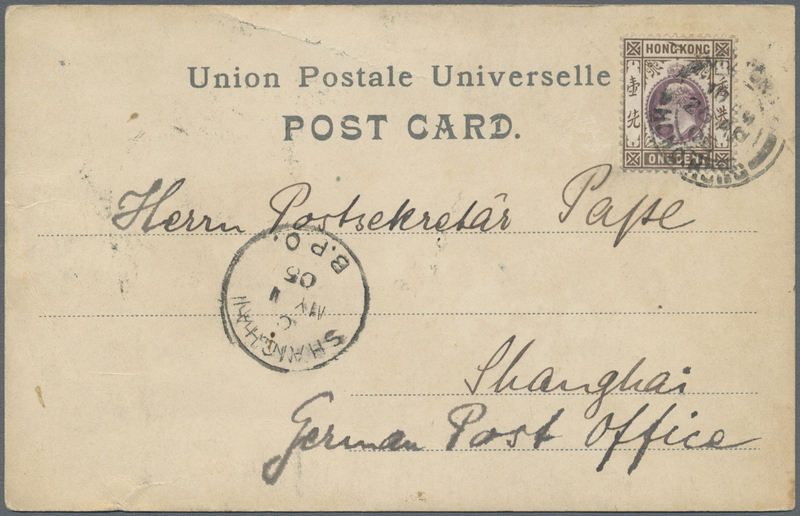 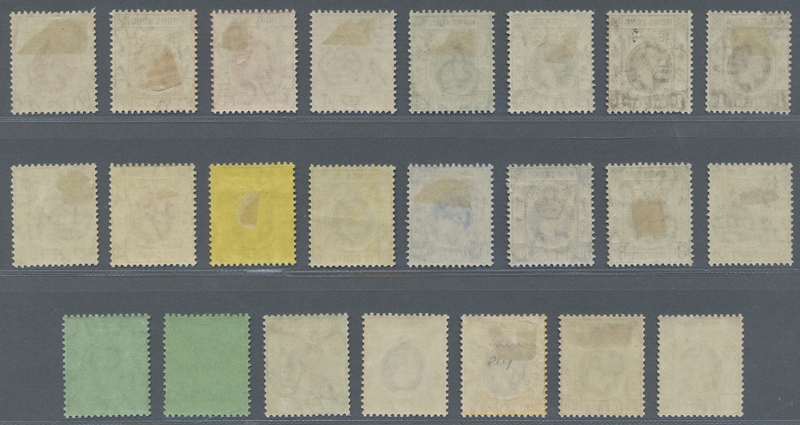 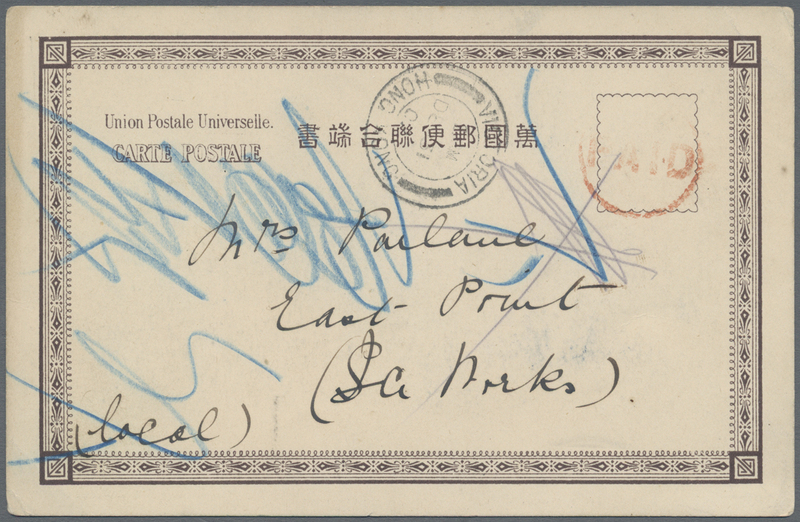 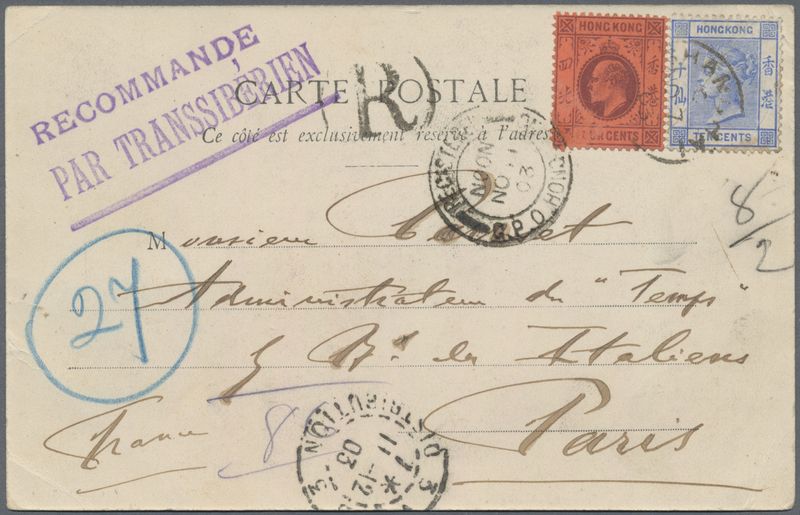 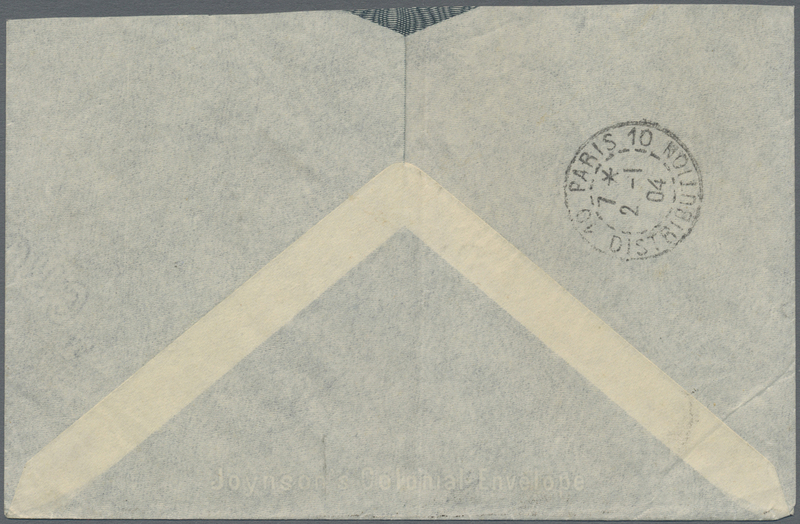 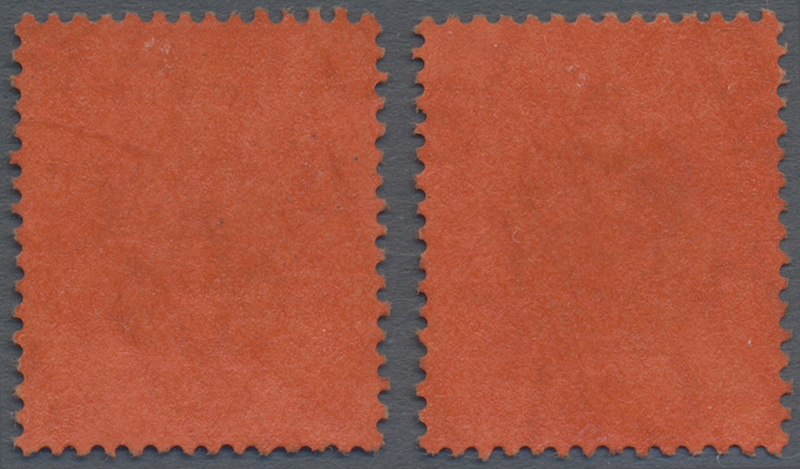 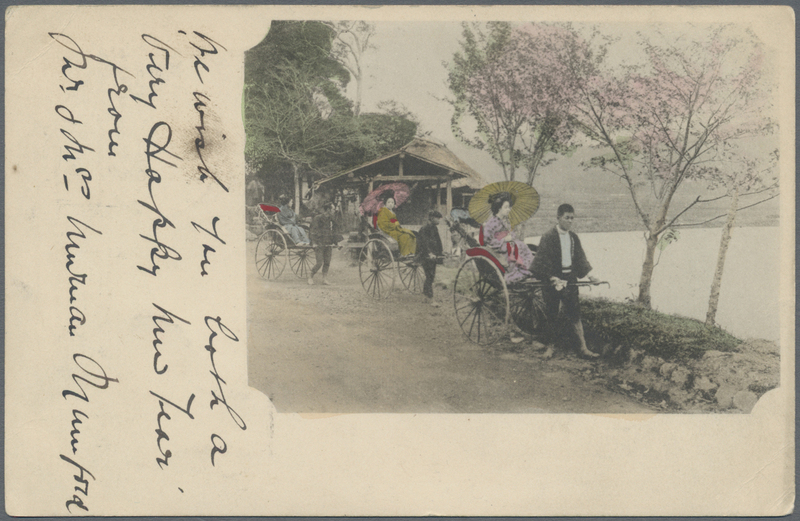 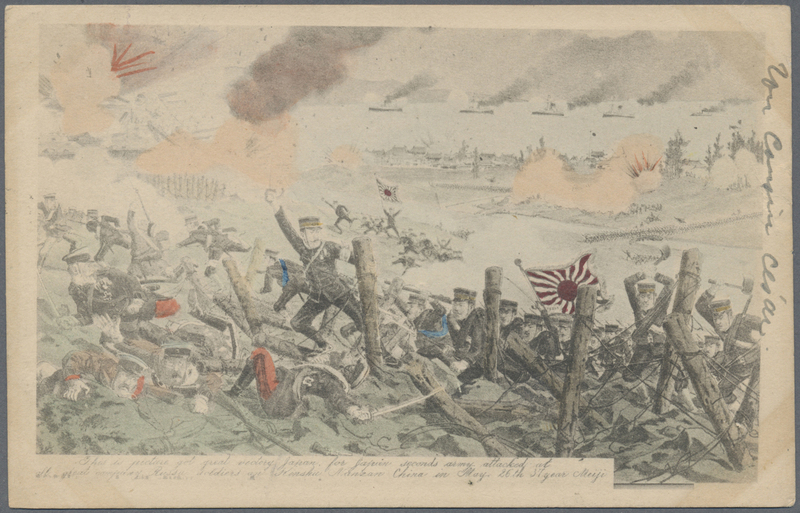 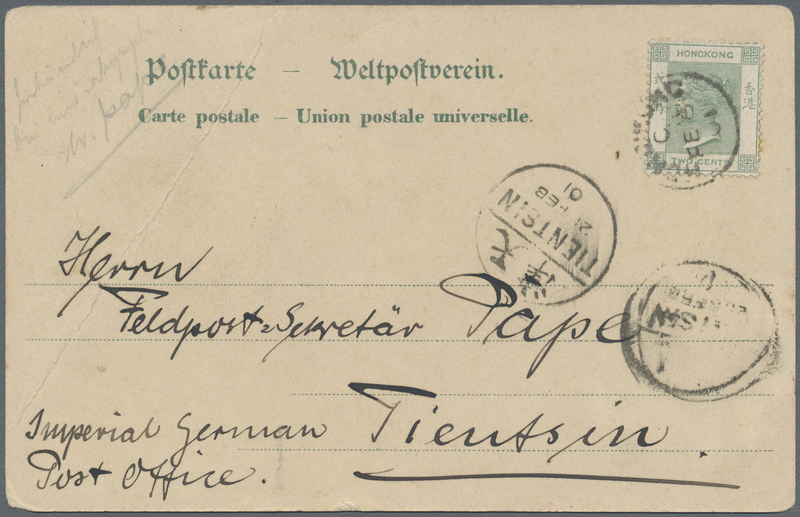 1900/02, QV 10 C. ultra (crease) with KEVII 4 C. lilac on red (rubbing) tied "SHANGHAI NO 7 03" to registered ppc "tea house" to Paris w. Dec. 7 arrival, two issues mixed frank. 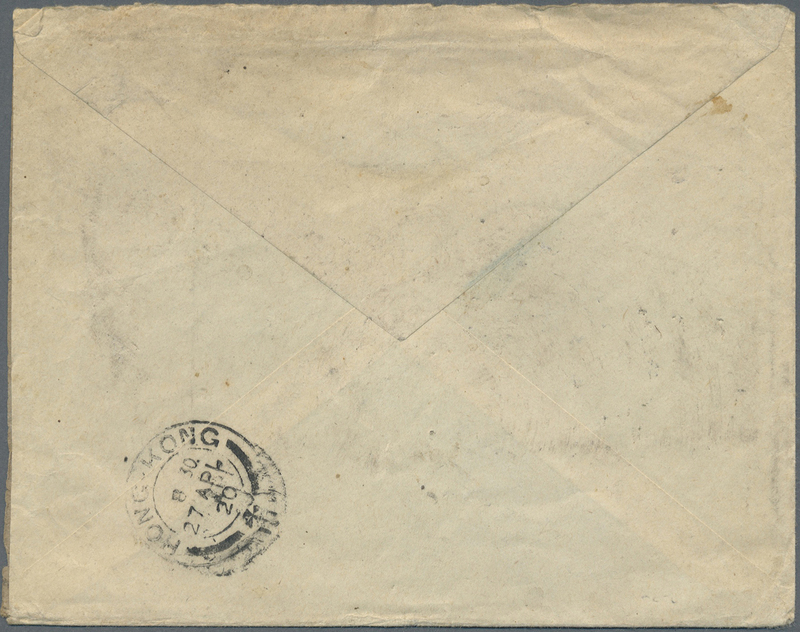 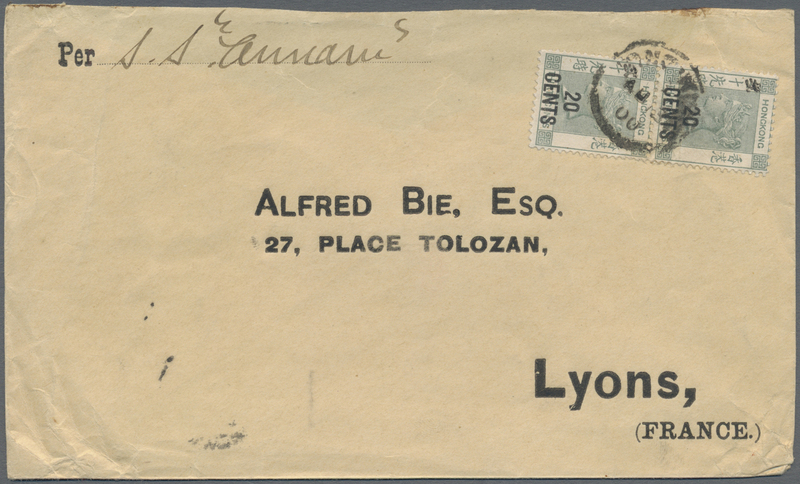 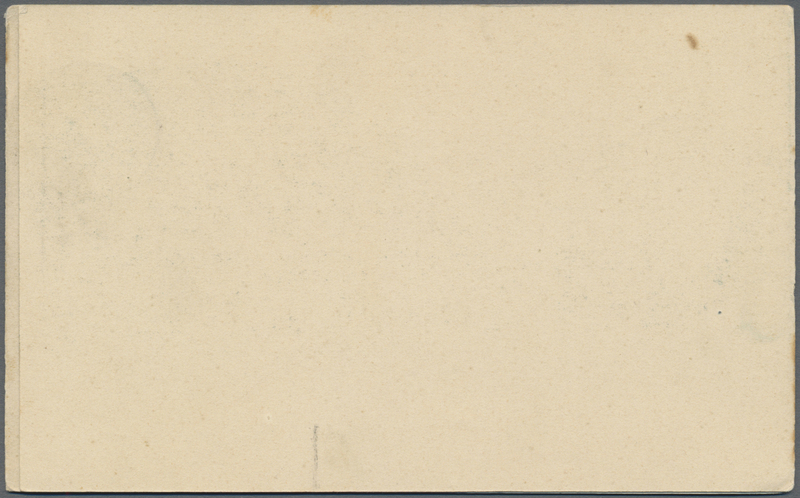 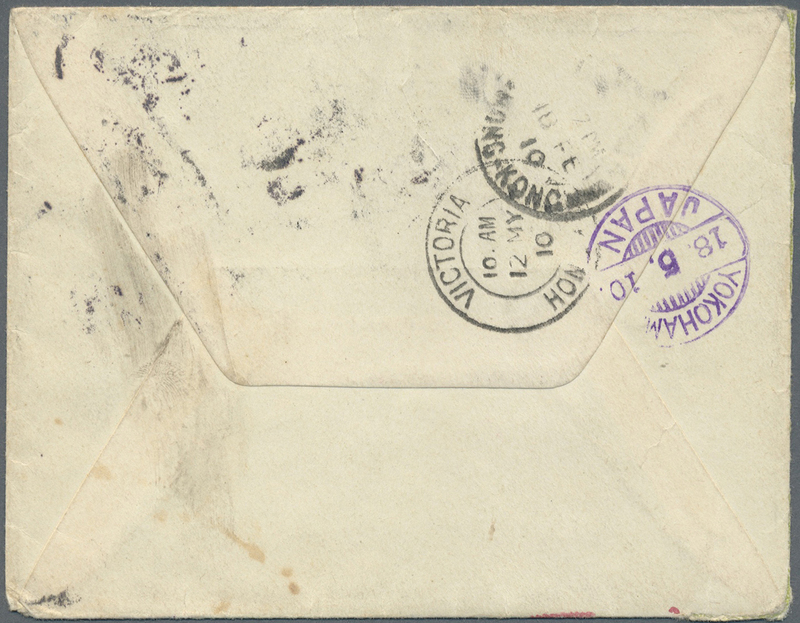 7640 Brief (cover) SG 78 1905. 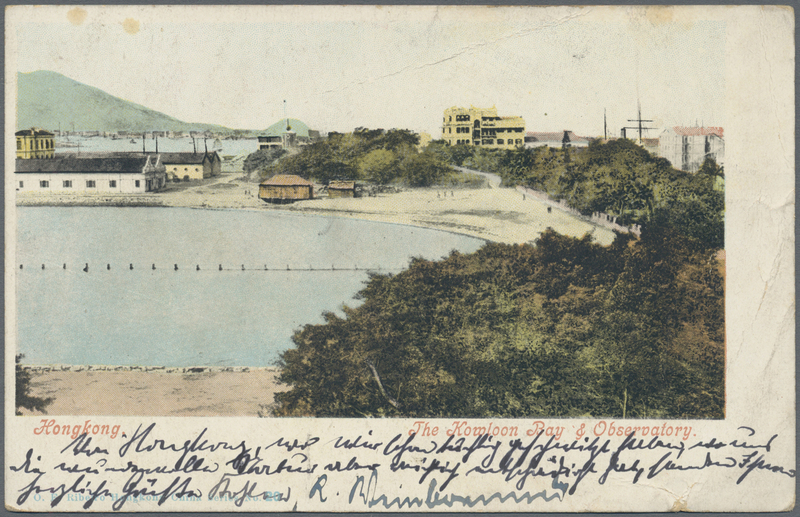 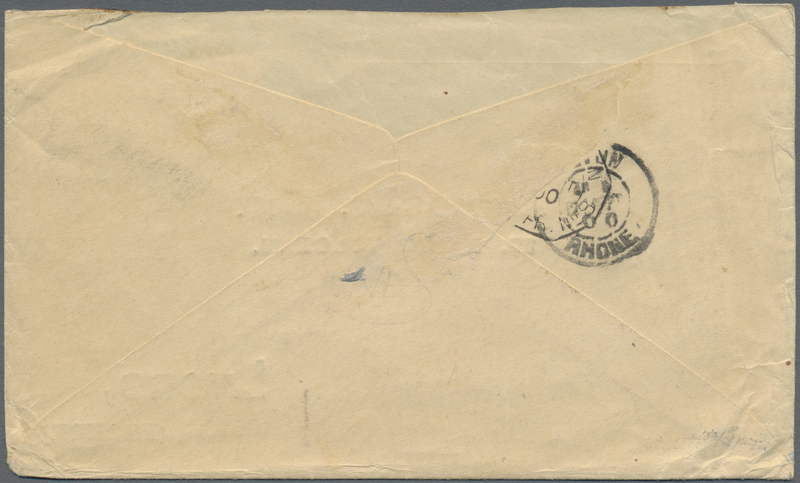 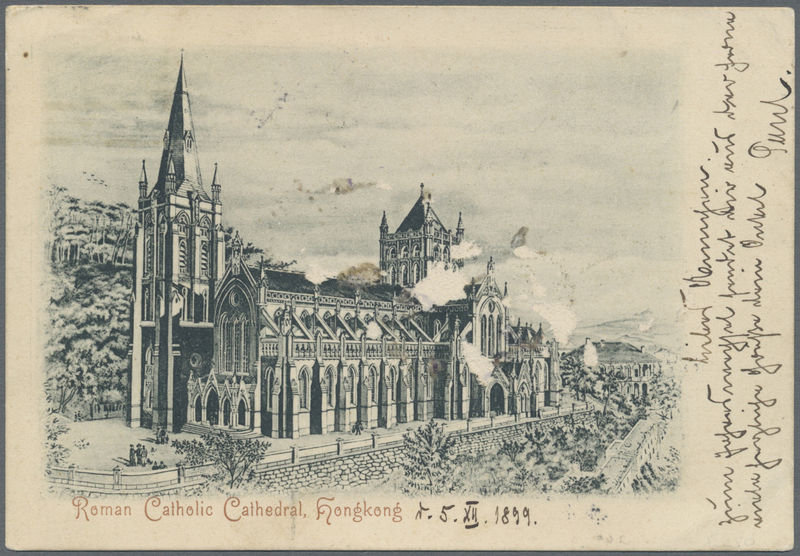 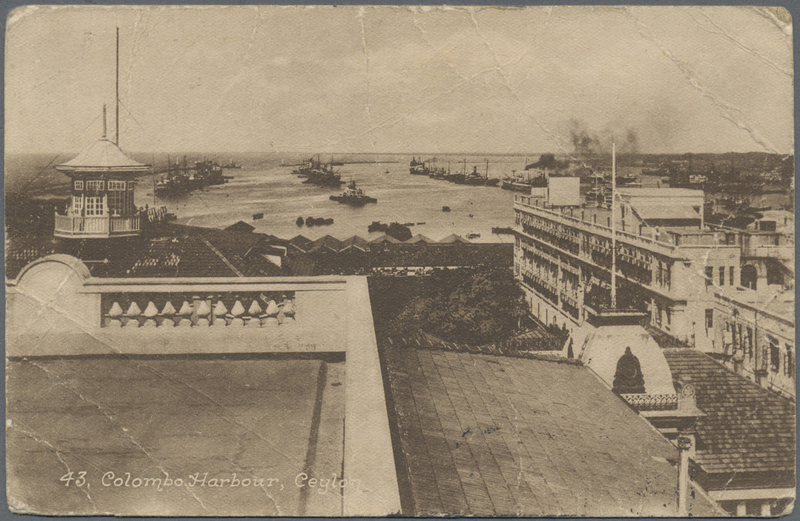 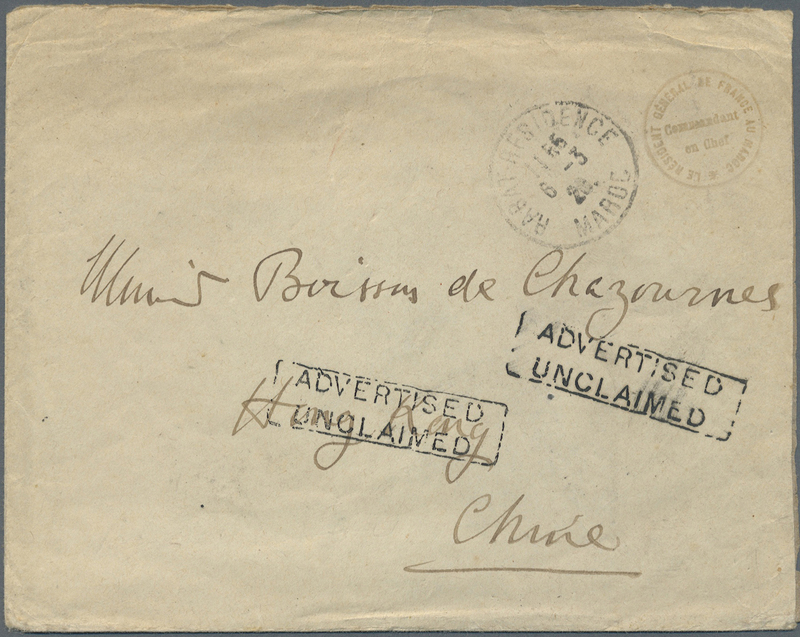 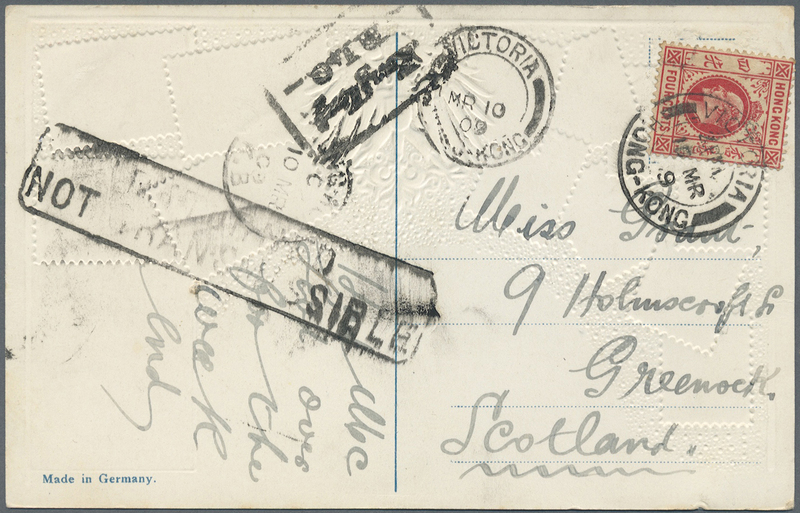 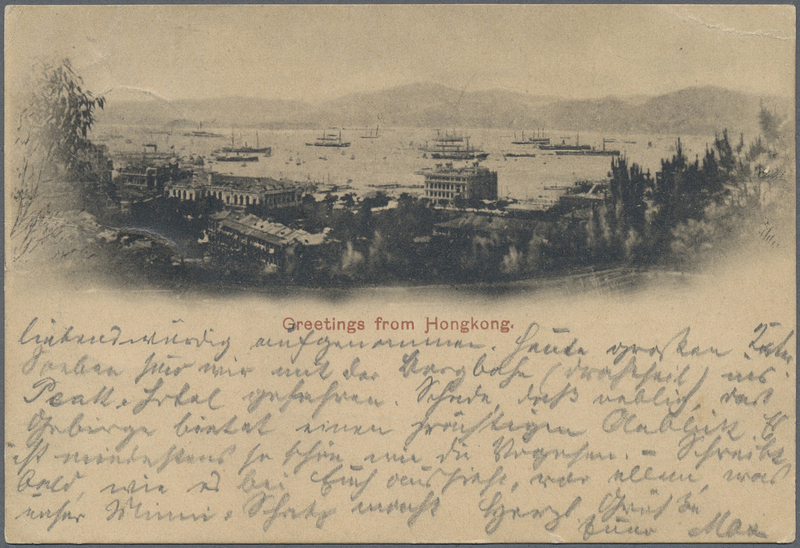 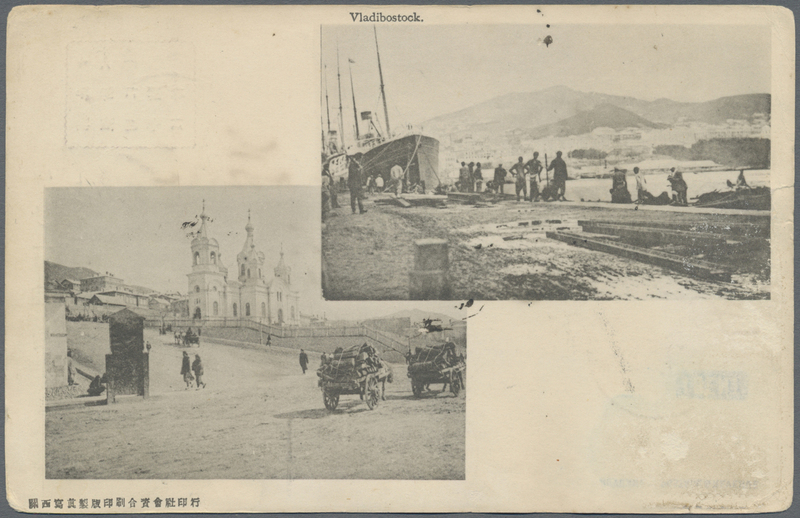 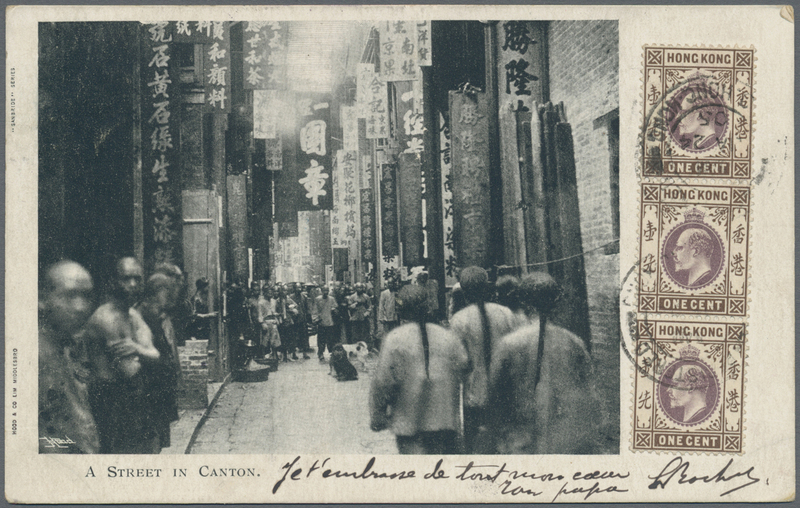 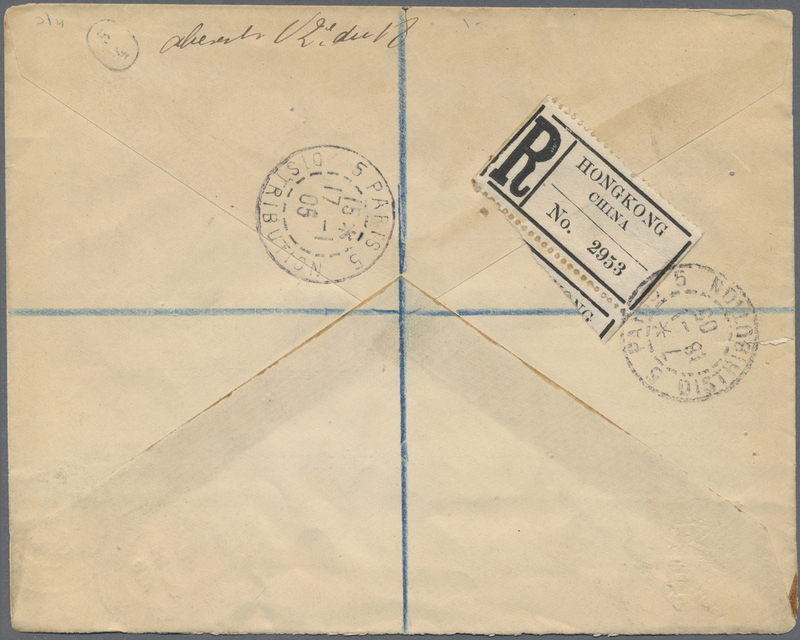 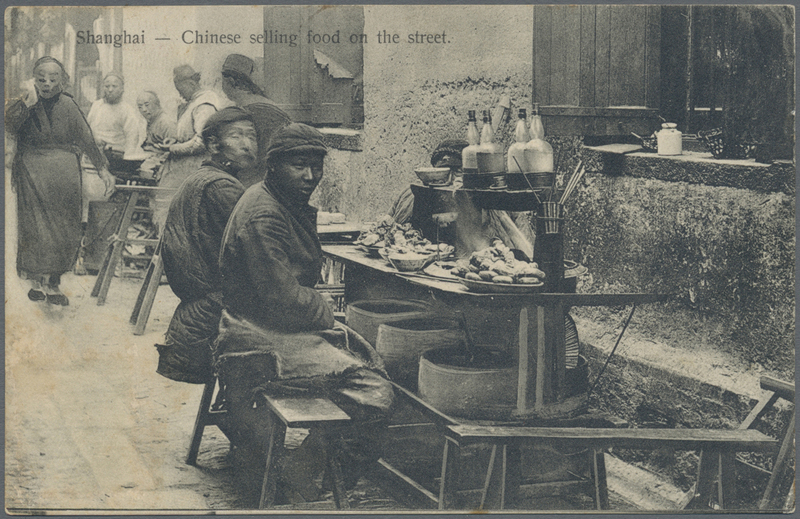 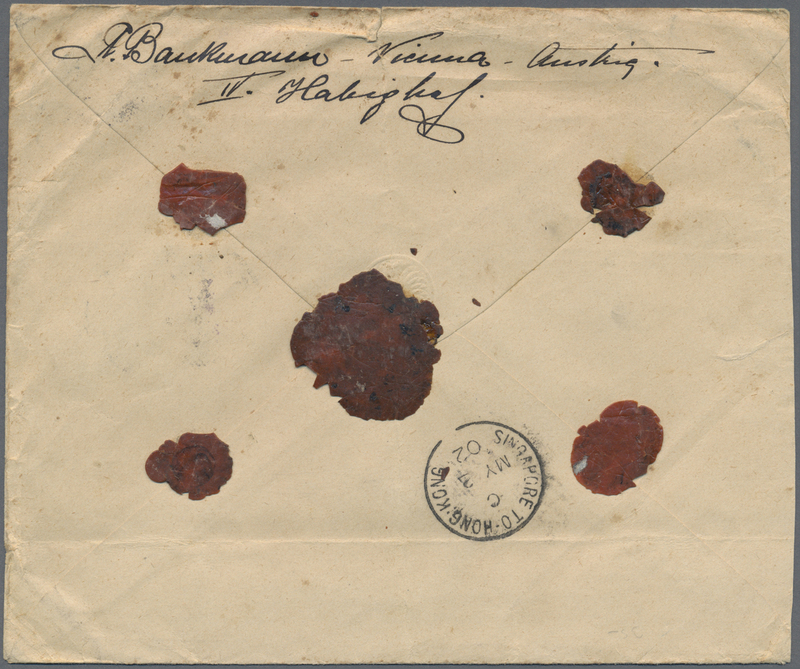 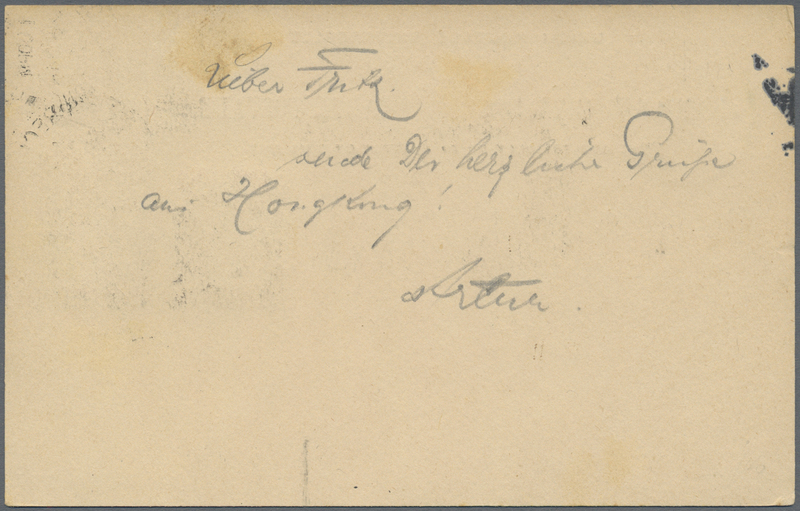 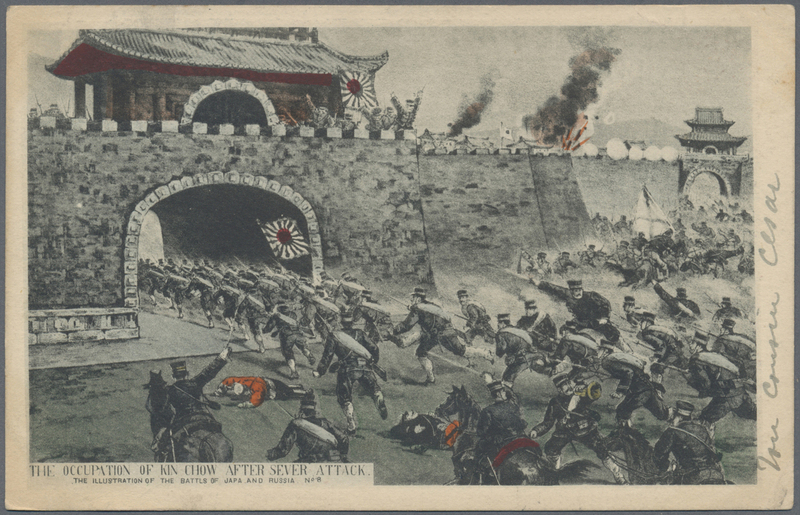 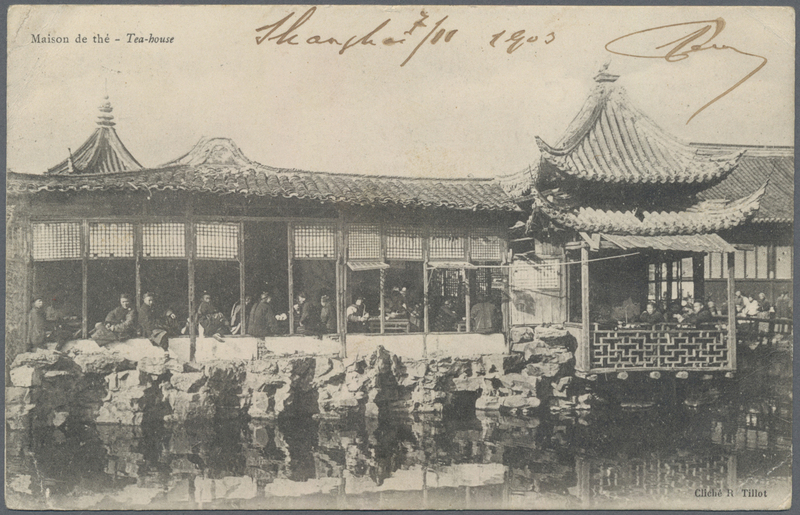 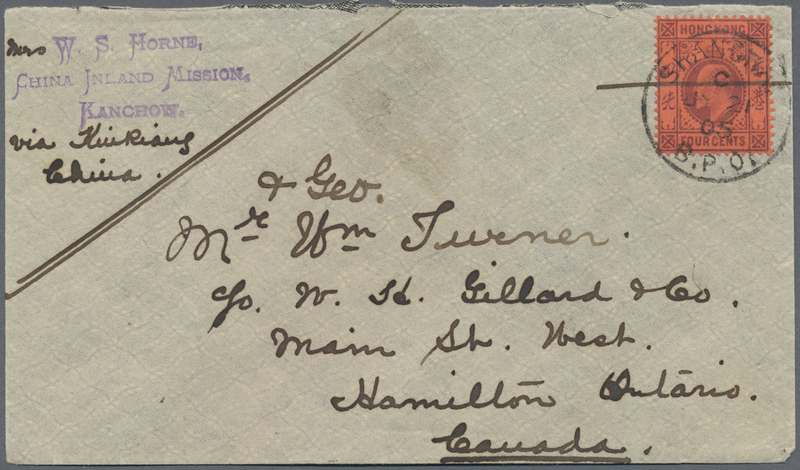 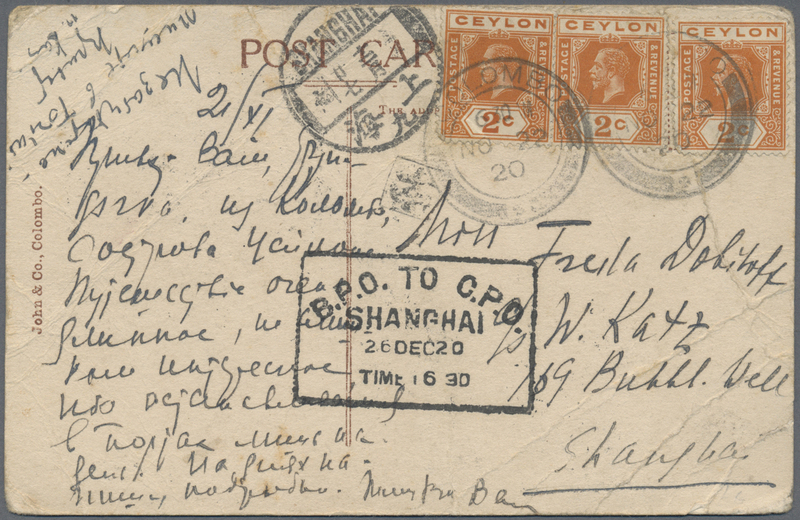 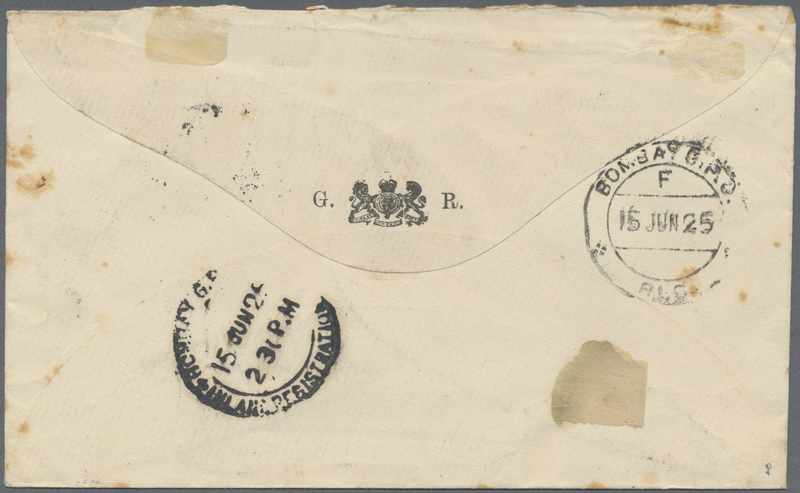 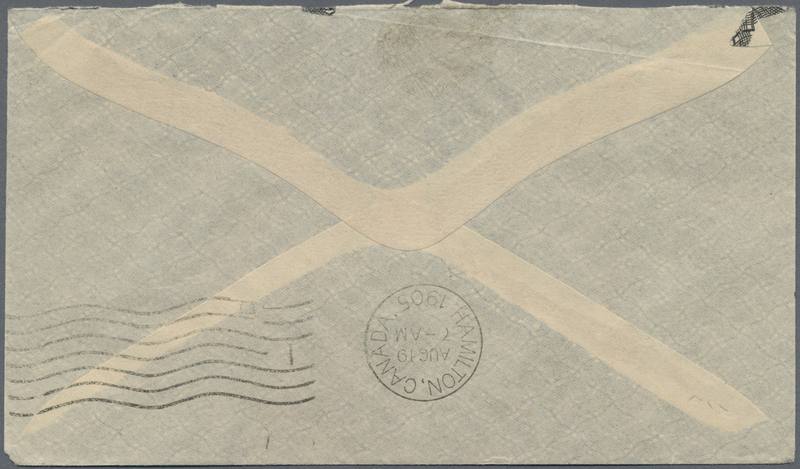 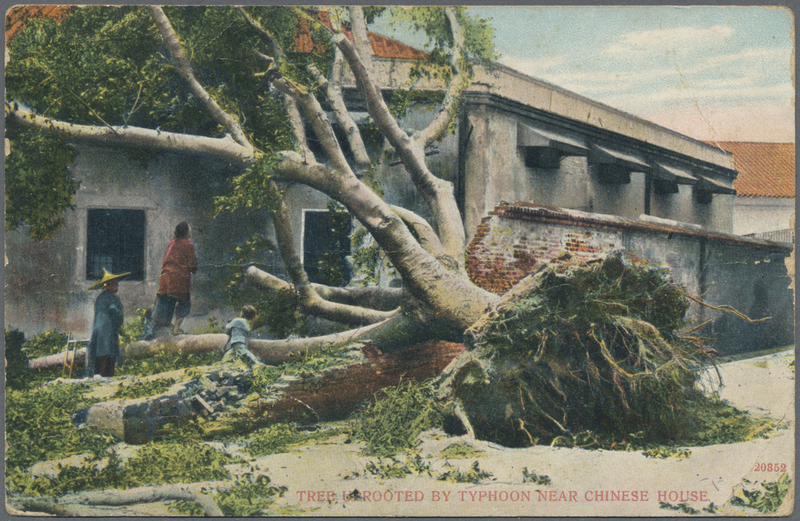 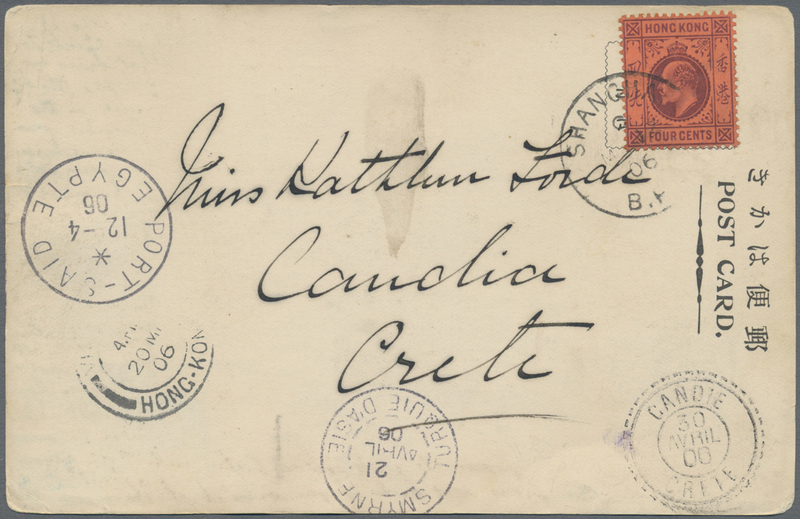 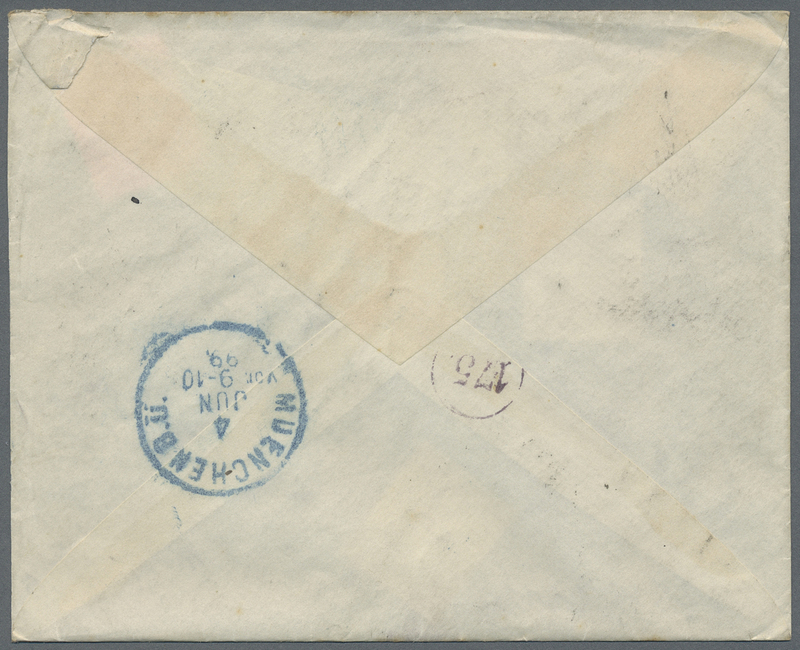 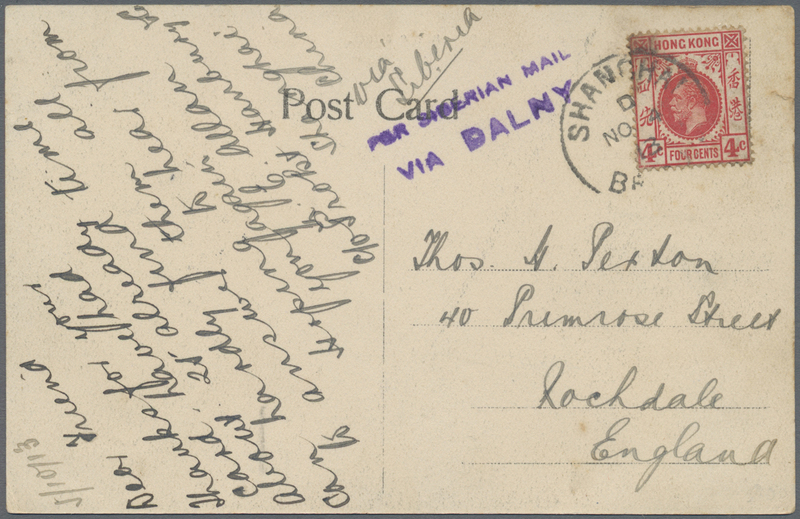 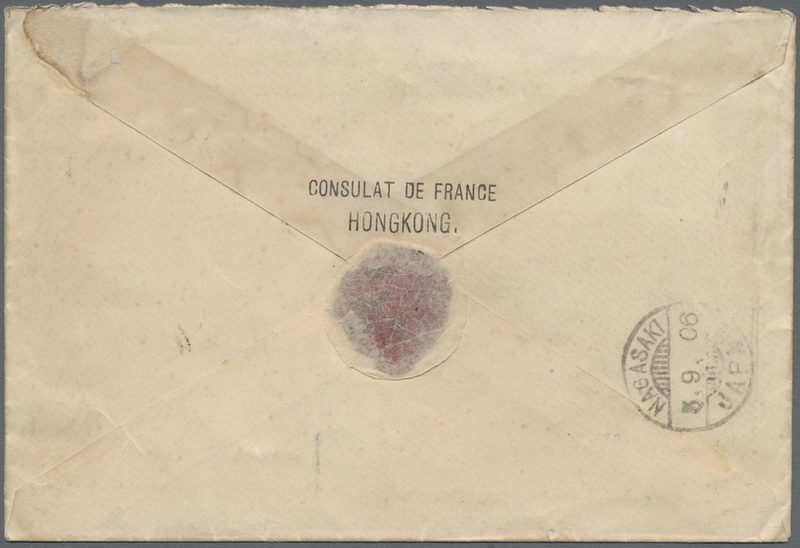 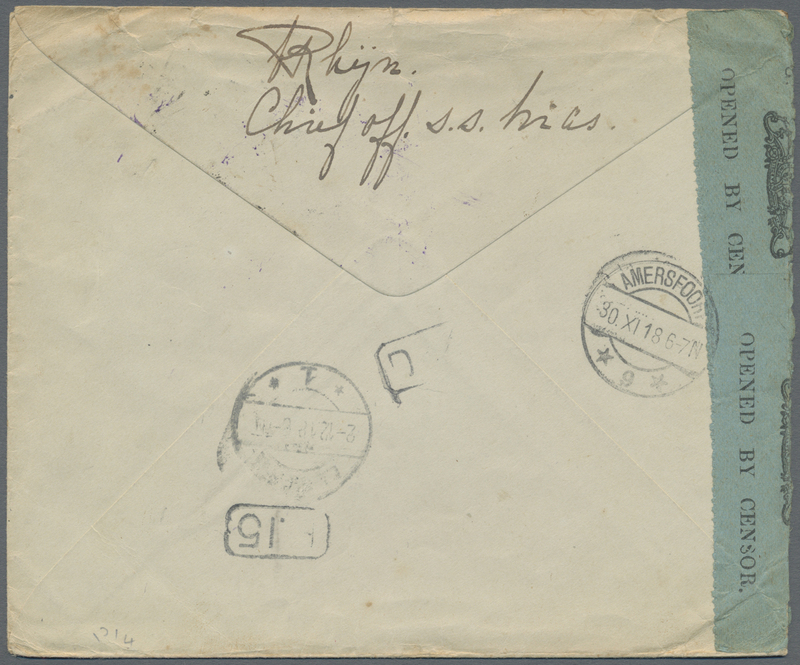 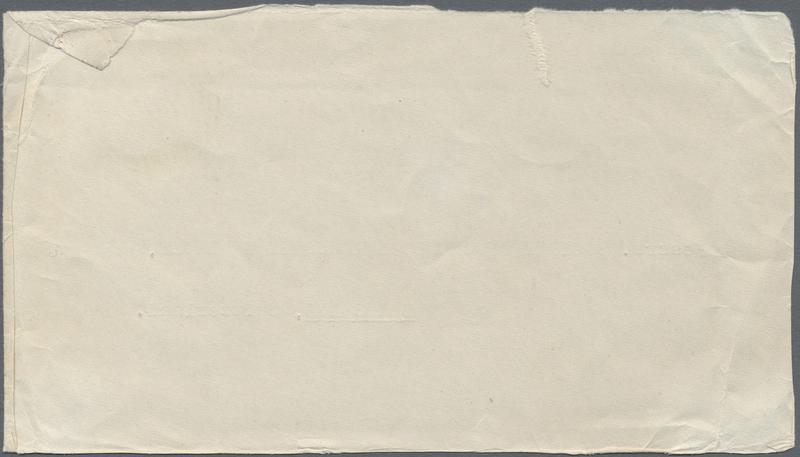 Envelope addressed to Canada written from the 'China Inland Mission, Kanchow' endorsed 'via Kiukiang, China' bearing KEVII 4 C,. 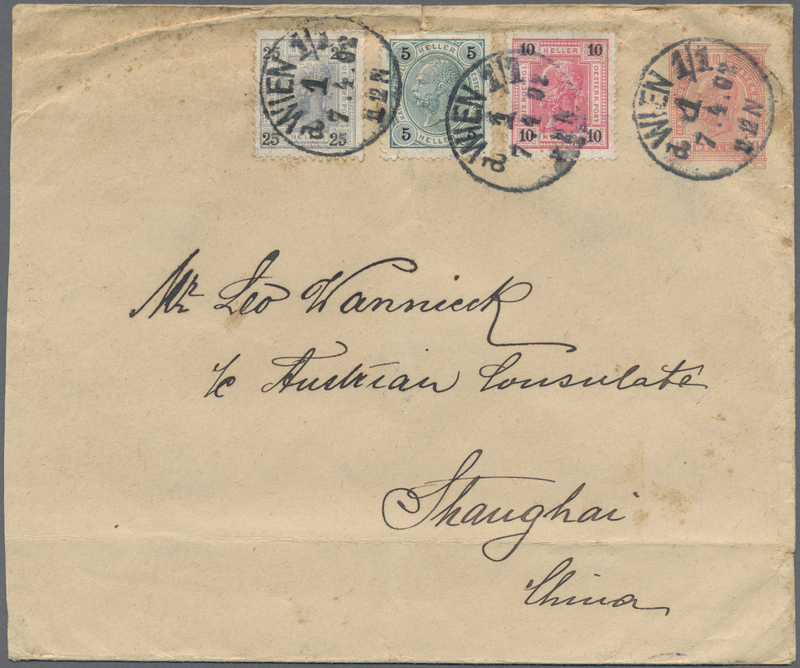 purple/red tied by Shanghai/B.P.O. 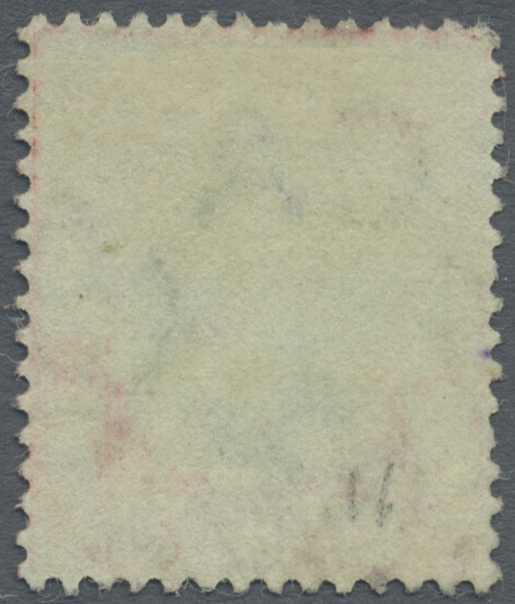 date stamp with Hamilton arrival on reverse. 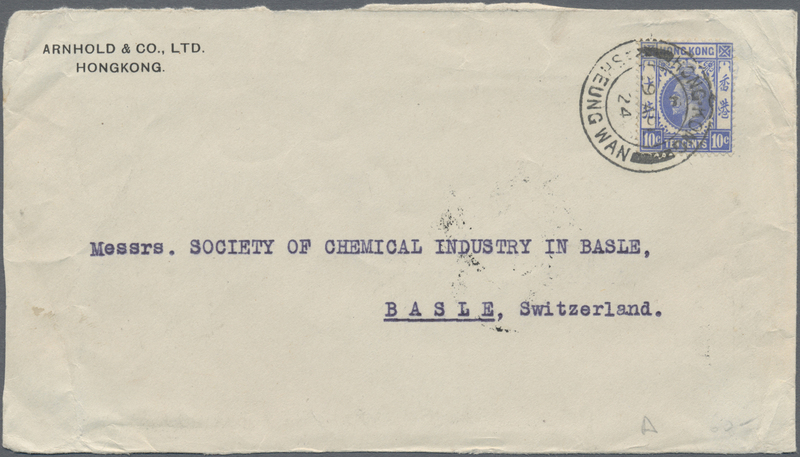 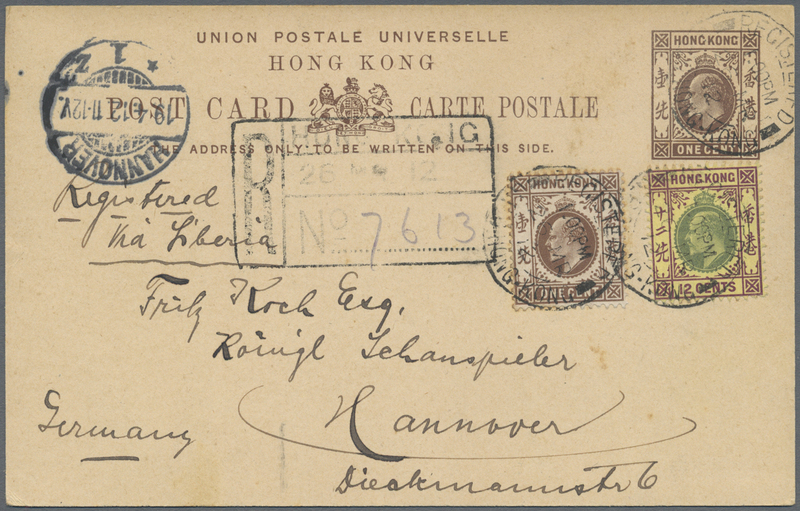 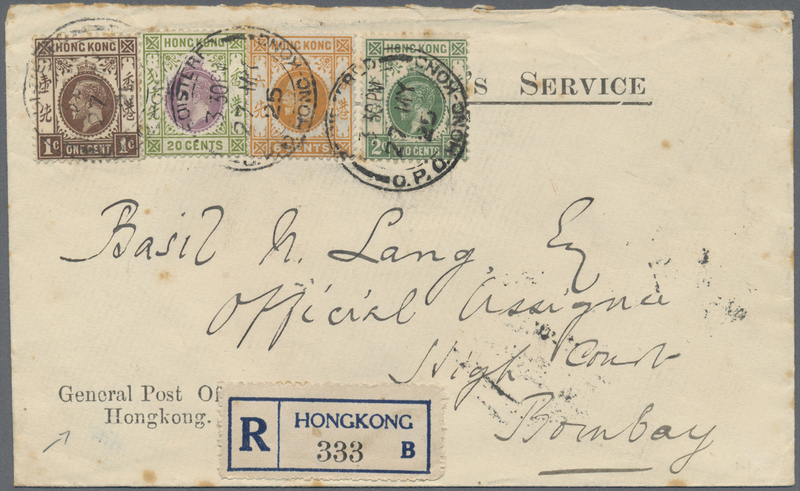 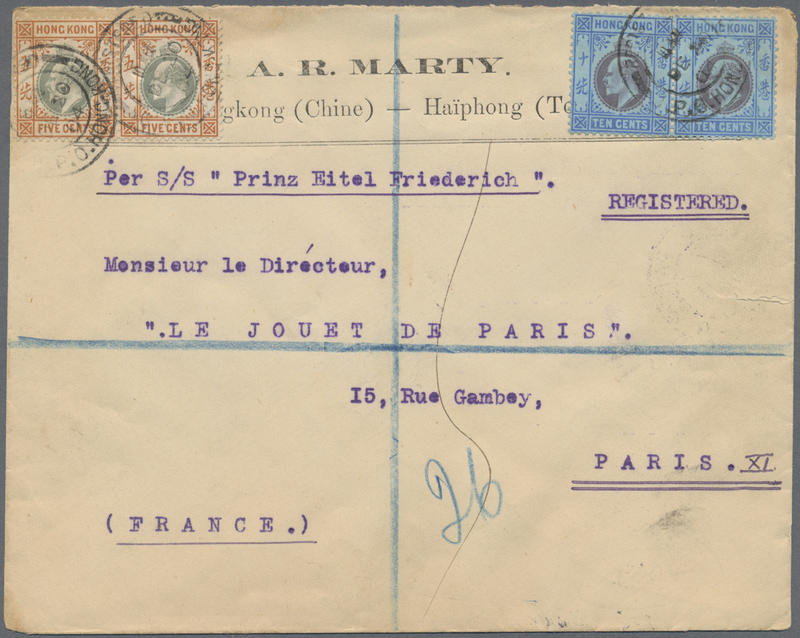 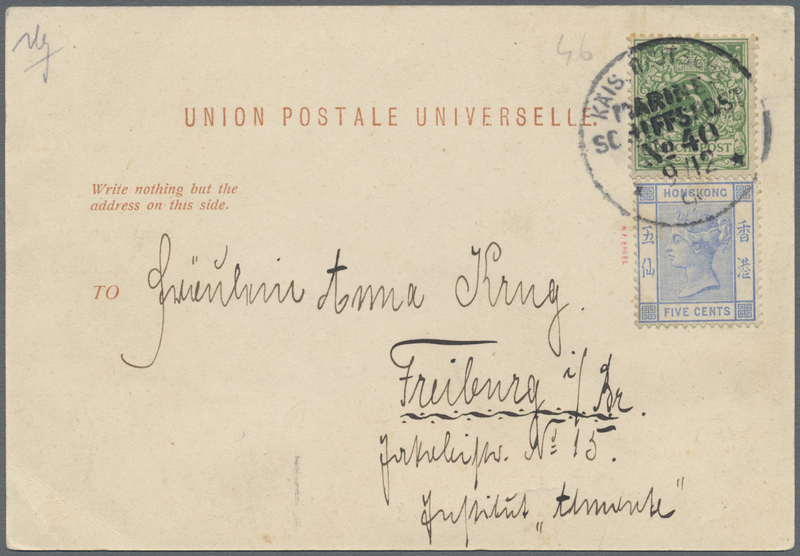 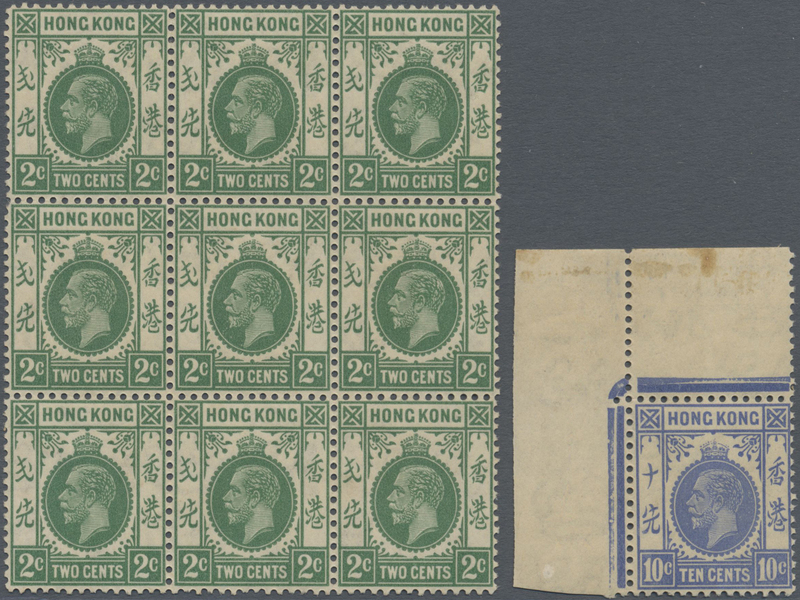 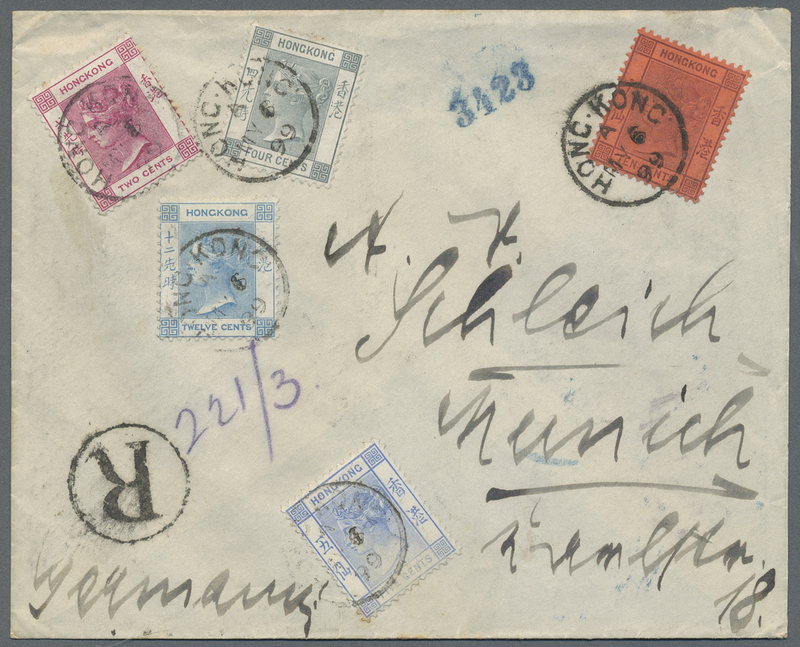 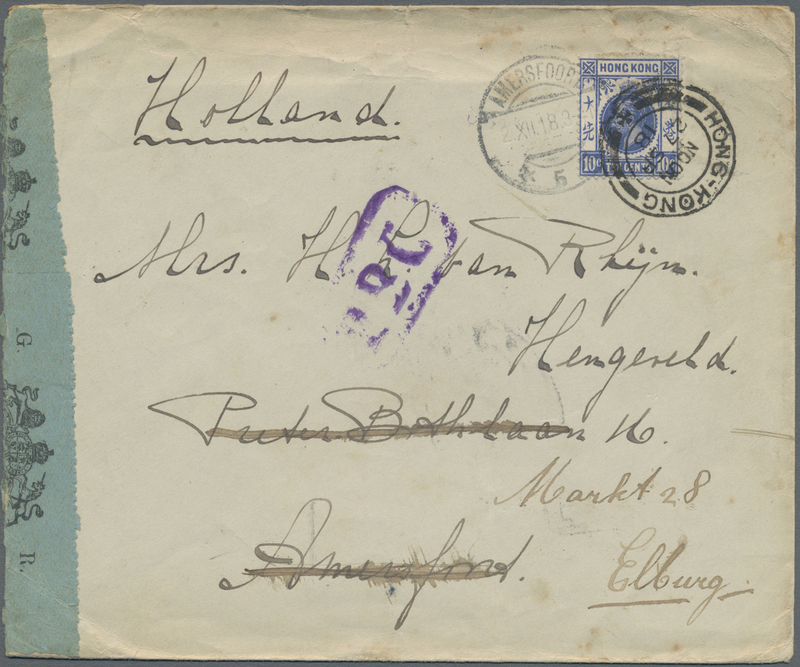 7663 Briefstück (on piece) Brief (cover) 118 1921, KGV 10 C. tied "HONG KONG SHEUNG WAN 19 AP 24" to front cover to board of chemical industry of Basel/Switzerland.